At London Fencing Club you'll find friendly and patient instructors who will introduce you to fencing rules, techniques, tactics and traditions. If you live in London and want to keep fit in a fun and sociable way, the fencing lessons at our Club are one of the best ways to achieve that. The beginner level fencing classes are held at our central London venues where our Club meets on Mondays, Wednesdays, Thursdays and Saturdays. 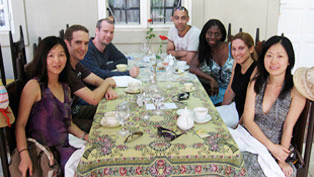 Fencing London is not an elitist society but a thriving community which welcomes new joiners. Beginner fencing courses require only the ordinary level of fitness and are suitable for anyone aged between 15 and 70. No previous knowledge of fencing is needed, though we will offer some reading and training recommendations once you've booked the course. All fencing equipment will be provided by the Club. 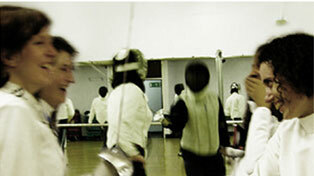 Join Fencing London, try one of our beginner fencing courses! 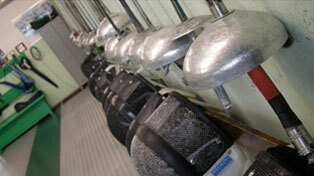 London Fencing Club caters to all three weapons: epee, foil and sabre and offers expert coaching in each of them. The Fencing Master will work with your individual fencing style, skill and fitness. For advanced fencers the individual lessons provide opportunity to create best strokes, develop your unique fencing technique and find the optimal balance between attack and defence. Beginners will benefit from private fencing lessons as they allow the Fencing Master to adjust to your learning speed and to provide additional coaching for the more challenging parts of the fencing technique. The individual fencing lessons take part during the club sessions, so fencers are welcome to fence with London Fencing Club members before or after the lessons. The Club will provide all fencing equipment required for the lessons although you're of course also welcome to bring your own. mixing fencers and coaches from all over the world. At our fencing club London's finest fencers are delighted to train and bout with fencers from across the globe. Whether you've just come to London, or have been here for a while, we'd like to welcome you to London Fencing Club where you can fence, meet new people and make friends for life. 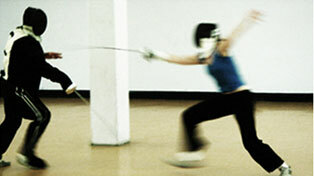 London Learn Fencing run regular short taster classes which will allow you to get some basic understanding of fencing. The tasters are normally free with equipment provided. All you'll need to bring is a t-shirt, trainers and track suit bottoms. To sign up for a free taster / get on the waiting list please get in touch!